Roman Run 5K – April 22, 2017 in Owensboro, KY. Proceeds will benefit Lourdes Family Ministry. The goal is to strengthen families in the parish and community. Early registration is $15. After 3/31, registration is $20. Overall M/F race awards, plus age group awards (10-under, 11-14, 15-19, 20-29, 30-39, 40-49, 50-59, 60-69, 70+). Door prizes for those in attendance. Want to support the ministry, but do it from the sidelines? Sign up for the Run In Spirit option. You’ll still get a t-shirt. 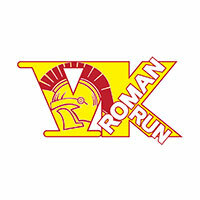 For more info, visit the Roman Run Facebook page.